The Martin D-28 Re-imagined is the epitome of Dreadnought Acoustic Guitars. Built from a solid combi.. The Martin D-18 Standard series is everything but standard. Packed full of tone and charm, this CF M.. 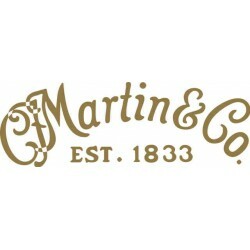 The Martin 00-15E Retro captures beautifully crafted Martin quality with modern appointments for the.. The 00-17S Whiskey Sunset Grand Concert model is as pleasing to the eyes as it is to your ears. The .. This Martin 000-17 is a beautiful example of vintage feel and charm. Finished in satin Black Smoke w.. This Martin 000-17 is a beautiful example of vintage feel and charm. Finished in satin Whiskey Sunse.. The Martin D-15M Dreadnought Guitar constructed from all solid Mahogany offers Martin tradition with.. The GPCRSG is a cutaway Grand Performance model that is crafted with a Sitka spruce top and mutenye.. The Martin 00-15M with a more compact size 00 body constructed from all solid Mahogany offers a beau.. The Martin 000-15M acoustic guitar from C.F. Martin features all solid Mahogany with a beautiful ton..